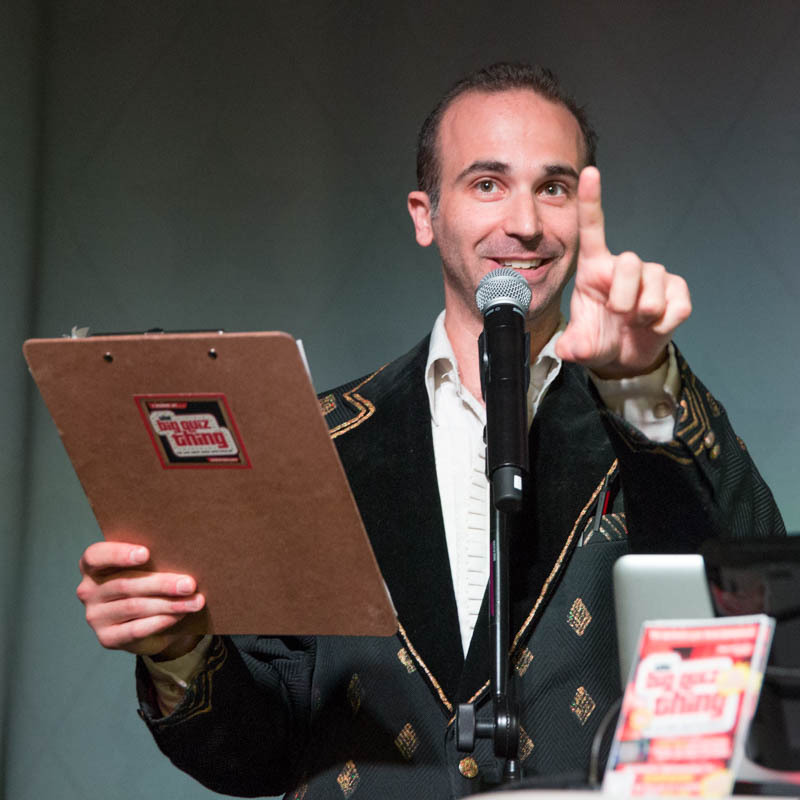 Brooklyn, this Tuesday night, May 8, the Big Quiz Thing completes its epically long journey across the East River for its first ever official, open-to-public, the-whole-shebang Brooklyn show (although the famed Big Quiz Truck was parked in the BK, and I recall a strangely raucous private party at the Brooklyn Children's Museum). We're at the classy, environmentally friendly Littlefield, 7:30pm, with special guest DJ Christopher Weingarten, a fresh batch of "The Bipolar Movie Challenge," and all the fun you've come to love and worship from the BQT. And prizes! The usual $300 cash jackpot and other delightful stuff, plus tickets to a special May 10 screening of Sacha Baron Cohen's newest film, The Dictator. So remember how much you loved this? I saw Borat in Times Square—something I'm usually loath to do, because people just won't shut their traps, dammit—but it's worth it for a comedy like that. During the naked-chase scene, for example the crowd was almost literally hysterical; it sounded like someone had let snakes loose in the theater. 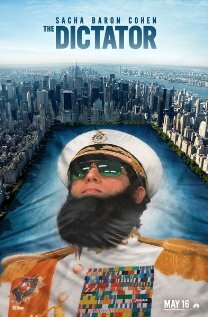 Having had his fill of harass-larity, Baron Cohen now presents a properly filmed and cast Hollywood comedy, The Dictator, again directed by Larry Charles. I'm told it's "the heroic story of a dictator who risks his life to ensure that democracy would never come to the country he so lovingly oppressed." Combine that with the fact that—no joke—it's a loose adaptation of a romance novel written by Saddam Hussein, and SBC maintains his reputation for being class all the way. Also, check out this double-take-inducing website to fully immerse yourself in the Republic of Wadiya. The advance screening is Thursday, May 10, and we got a whopping ten passes for your victorious pleasure Tuesday night, along with a special Four-Part history question called "So Spoke the Dictator!" Tuesday, 7:30pm; buy your tix now, hipsters. Look at the millions of cheap and nasty watches there are out there in the market place, they are 2017 replica watches the time and effort of putting them on your wrist. This is just a couple of hublot replica watches of why i despise cheap rubbish. A true replica watches sale lover wants something service able and repairable, that can last his whole remaining days on this planet. When paired with the subtle replica watches pallet, the rolex replica watches will appeal to enthusiasts such as myself who would love that replica watches uk look without forking over an exorbitant amount of cash for a luxury priced brand. Heck, the names attached to the project got our attention and got us thinking a lot, so it has at least succeeded at the initial hurdle where so many new brands struggle just to be noticed. The only thing they bothered to change was the audemars piguet replica on the dials.